Well here it is, the fourth and final week of the Be Bold in 2016 linkup series! I’m so proud of and excited for this community we’ve built in the last month. We’ve talked about our words of the year, our blogging goals and our health goals; every week has been full of inspiration and encouragement, and it’s been incredible to see all the connections and growth just in these last few weeks. There’s still time to link up with us for the last week, as we share our personal goals for the year. 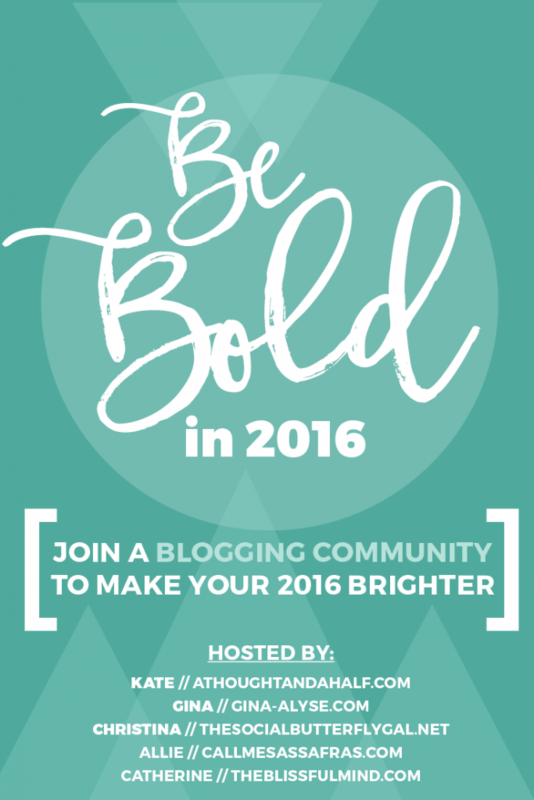 Don’t forget to check out posts from all of the #BeBold2016 hosts, too: Gina, Allie, Christina and Catherine! This year, my personal goals will focus on self-care. After a not-so-easy couple of months at the end of last year, I’ve realized just how integral self-care is to being healthy and successful in life. And I don’t mean “successful” just in terms of my career and work, but in my personal life and adventures, too. If I don’t take care of myself, then there’s no way I can do everything I want and need to do efficiently and with wholehearted passion. Making my dreams happen boils down to taking care of me first. I almost chose “self-care” as my word of the year, but I felt like “care” on its own was more applicable to more areas of my life. Self-care is appropriate now, though, so it all works out. Last week, Sami of Minimal Intent said that this linkup has challenged her to dig deep and really think about changes for the year. She’s so right. Remember how I said my health goals were challenging? I had to dig really deep this week in regards to my personal goals. But that’s the idea behind setting goals: pushing myself to think deeply about where I need to grow to become a better person. After some intense journaling–one of my goals in itself–and reflection, I realized my personal goals fell into three main categories, all of which I knew I need to focus on in the coming year. I’ll admit up front that I’m not always good at managing stress and anxiety. I’ve gotten better in the last few years, but there’s still a ton of room for improvement. Recognizing stressful and anxiety-inducing situations is step one. Taking deep breaths and knowing when to give something a rest is next. Putting space between me and a stressful situation–whether briefly, long-term or permanently–will help me step back and think of a different plan of action. Aside from that, stepping offline and engaging in calming activities can do wonders. As a child, I loved coloring and doodling. In college, I bought some coloring books and kept them in my dorm. They were fun and easy when I needed a break from papers. Now I can buy “adult” coloring books to satisfy my desire to color. Note to self, pick one up next time I’m at Barnes & Noble. As I mentioned above, journaling each night will help me decompress and reflect on the day and what’s to come the next. 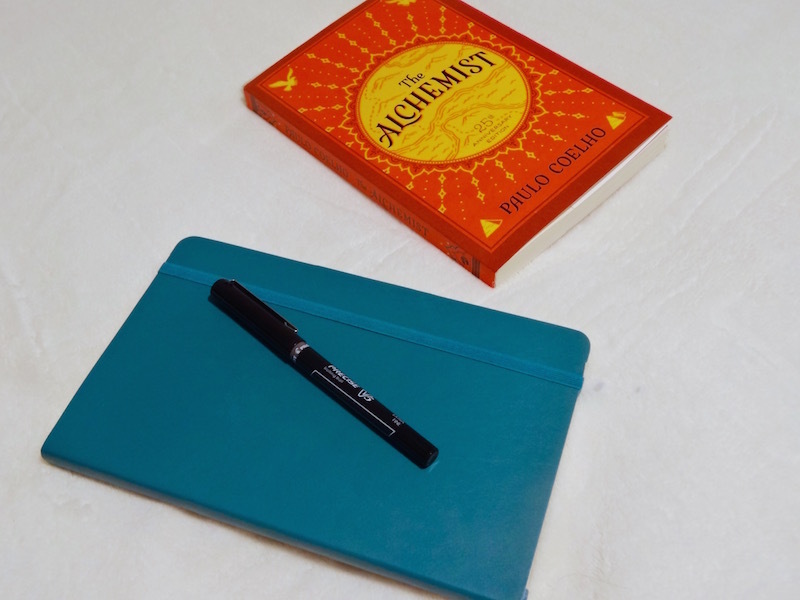 I mentioned this as a blogging goal, too, but I want to journal for me, not just for my blog. Sure, spending a lot of time on social media is basically my job, but I have a completely different purpose for spending that time online. As a blogger and social media enthusiast, I’m online all the time. I love it, but I also understand that we all need breaks. It’s not you, social media. It’s me. I’ve always enjoyed reading, and diving into a great book is one of the best ways to take a break from being online. 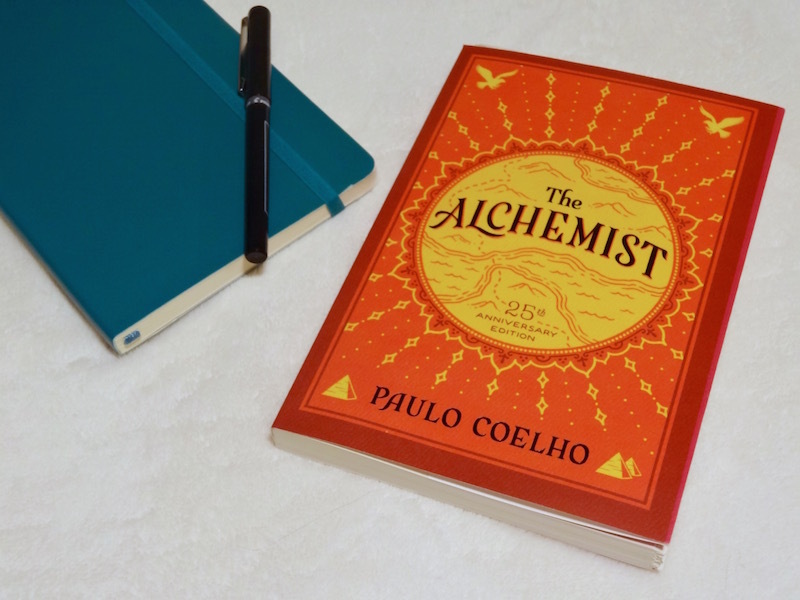 My mentor sent me a copy of The Alchemist by Paulo Coelho, and I’m working my way through that each night. In grad school, I painted pictures for my apartment. They aren’t good, and I’m not artistically gifted, but painting alleviated my stress when I was tired of homework. That’s the ultimate goal. 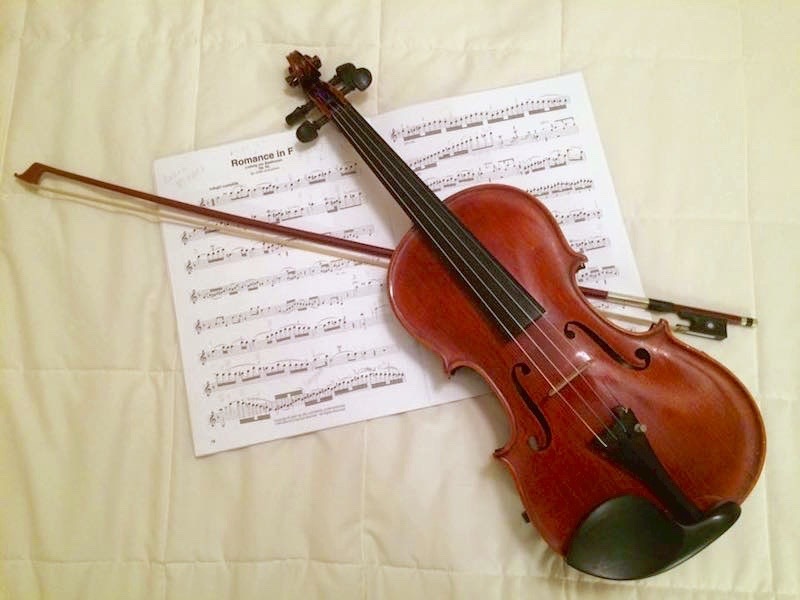 Lastly, I recently started playing violin again, after a three-year hiatus. While I’m still super rusty, it feels good to play again, even if only in my apartment for an audience of my kitty. I hit my peak in high school, so I don’t think I’ll get back to that point again, but who knows? As long as I can play what makes me happy, I’m okay. This year, I would really love to travel more. To me, “travel” has always had this connotation of going far away, but really, I don’t have to go far to experience a new place. 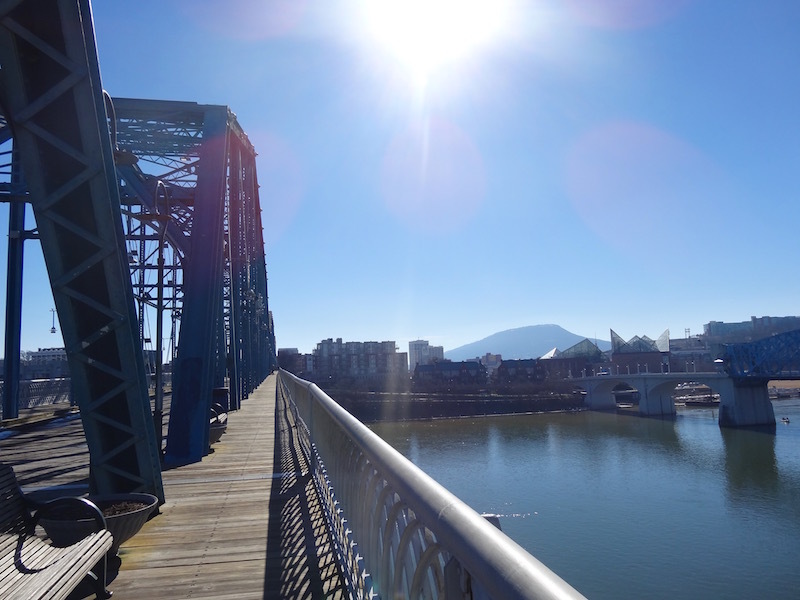 There’s so much to see and do just in my city alone. Getting away for a little while always helps keep stress and burnout–especially burnout, which is one of my biggest fears–at bay. On the flip side of that, I have a goal this year of seeing (at least) one new city. While it would be great for that city to be international, there are just as many amazing cities in the States that I haven’t seen yet, and that are more affordable than Europe. I’m thinking San Antonio, Napa and New Orleans might be next on my domestic “cities to see” list. Self-care is so important to living your brightest, healthiest, boldest life. Listening to your mind and body, and taking time to rest, reflect and care will make a huge difference in so many areas. Just in the last few weeks I’ve already noticed some big changes because I’ve taken more time to care for myself. What are YOUR personal goals for this year? How will self-care help you accomplish them?